The LG foldable phone has appeared with several names: Flex, Foldi and Duplex. This all points towards an LG foldable phone due to appear soon, perhaps even before the Samsung Galaxy F.
The LG foldable phone names appeared in patent documents spotted by letsgodigital which noticed the multiple name options. 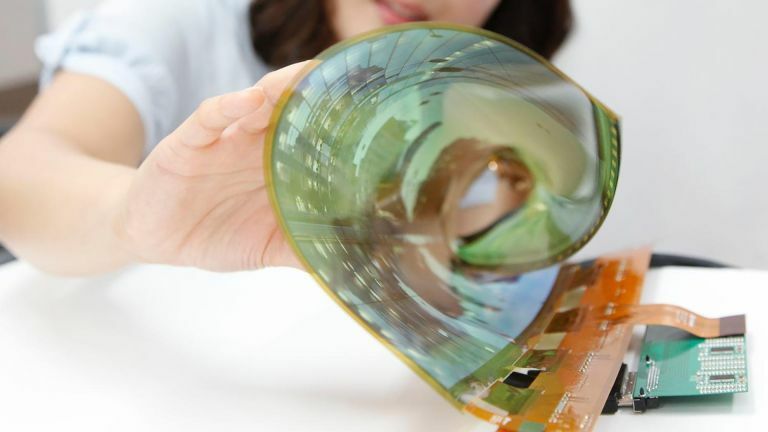 While there is a possibility that LG will release more than one type of foldable phone, it's more than likely that it simply hasn't decided on a name yet. Depending on the type of folding phone on offer, that may dictate the name. The LG Flex 2 was one of the first curved phones and it was curved in a different way to the other pioneer of that phone arena, the Samsung Galaxy Round. As such, perhaps LG will once again be looking to differentiate itself from the competition by offering something a little different. The Samsung Galaxy F has already been teased with a vertical side fold. Perhaps the LG Flex, LG Foldi or Duplex will have a horizontal widthways fold to make it different too. While Samsung has expressed desires to be first to market, LG has done no such thing, so don't expect its foldable phone to appear until later in 2019 at the earliest.